A good quality, French copper, deep saute pan. This pan is unmarked and it dates from c.1880. 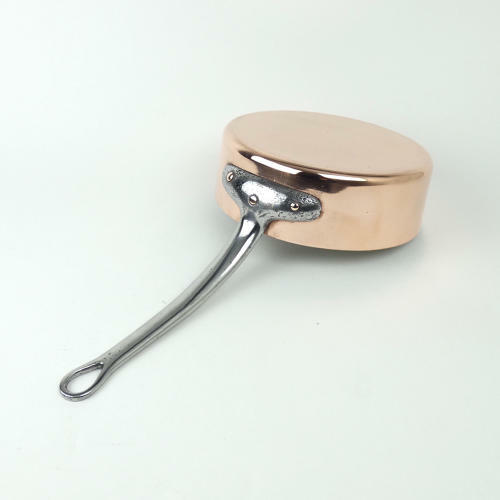 It has the typical, French shape of steel handles and it is made from a very heavy gauge of copper. It is in excellent condition, and the interior has been re-tinned, so that it can be used. The pan measures 21.5cm. diameter by 7.5cm. deep. The other sizes quoted are the overall dimensions.